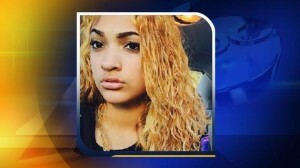 A Silver Alert has been issued for 15 year old Corriana (Cori) Rose Marie Tharrington who has been missing since Sunday, January 31, 2016 in Cary, North Carolina. Corriana Rose Marie Tharrington was last seen Sunday in the area of 131 Westview Cove Lane in Cary. Corriana was also the subject of a Silver Alert in mid-November 2015. You will remember that we covered her disappearance back in November, 2015. Please note that Tharrington is believed to be suffering from dementia or some other cognitive impairment. Tharrington, 15, is believed to be suffering from dementia or some other cognitive impairment, according to the N.C. Center for Missing Persons. 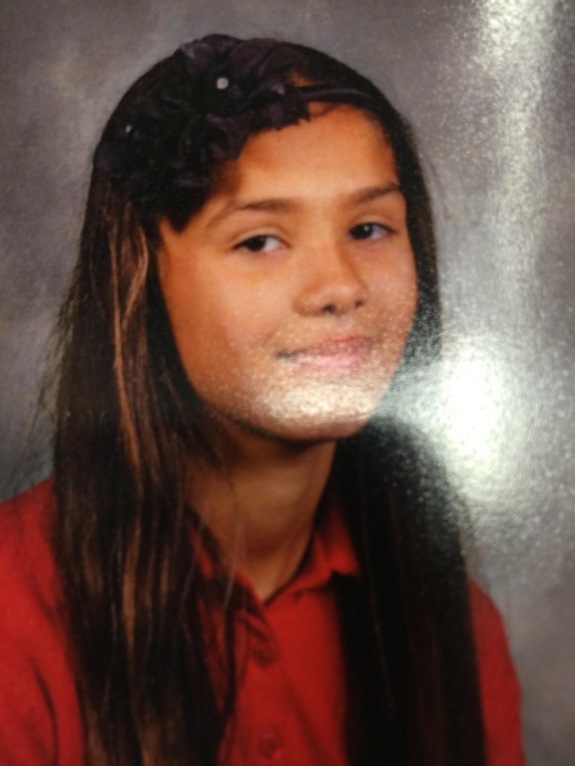 The missing teen was last seen wearing a pink or white North Face jacket and blue jeans. She is black, has brown eyes, stands 5 feet 4 inches tall, weighs 180 pounds, and has shoulder-length hair. Officials said Tharrington may be in the company of Jordan Damson Ceneus. Anyone with information about Corriana Rose Marie Tharrington should call Officer Lischwe at the Cary Police Department at (919) 469-4012. 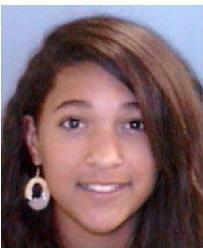 The North Carolina Center for Missing Persons has issued a Silver Alert for 15 year old Corriana Rose Tharrington. She has been missing since Thursday, November 11, 2015 from Cary, NC. Citizens are asked to be on the lookout for Corriana Rose Marie Tharrington, who is believed to be suffering from dementia or some other cognitive impairment. 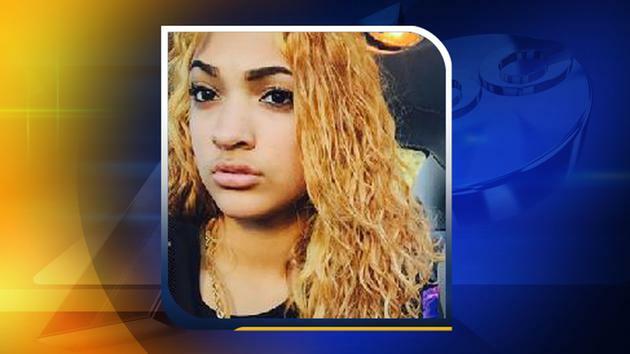 WRAL: Cary police searching for missing 15-year-old girl. Cary police were searching Thursday for a missing 15-year-old girl who is believed to be cognitively impaired. The North Carolina Center for Missing Persons issued a Silver Alert for Corriana Rose Tharrington at about 10:30 a.m. after she went missing from 131 Westview Cove Lane. Tharrington is 5 feet 10 inches tall and weighs about 170 pounds. She has long brown hair and brown eyes. When she went missing, Tharrington was wearing red plaid shorts and a red T-shirt. As the NFL Hall of Fame inducted 8 more members into the hallowed halls of Canton, Ohio something his year was definitely not right and should not be brushed over as, oh its just a policy. Linebacker Junior Seau gave every inch of his body to the NFL and sadly, his brain as well as the hundreds if not thousands of hits caused irreparable damage to his head, mind and health. Seau was a “Super Charger” and one of the games greats who sadly passed away at the age of 43 from suicide and a self-inflicted gunshot wound to his chest. As his daughter Sydney Seau said, Junior Seau was an Oceanside Pirate, a U.S.C. Trojan, a Miami Dolphin, a New England Patriot, a San Diego Charger, and now he is, and forever will be, a Pro Football Hall of Famer. His daughter has stated that “the two words that exemplify my dad the most are “passion” and “love.” Everything he achieved, accomplished or set his mind to was done with both qualities. In every situation — whether it be practice, a game, a family barbecue, an impromptu ukulele song or just a run on the Oceanside Strand — he always gave you all of himself because to him, there was never any other option.” For me, as just a fan that is exactly what I saw him do on the field as a player. Is passion and leadership so late in his career appeared to be like that of someone just starting out their career. Seau played with a passion like every play could be his last and he did not just hang on to hang on. He was an inspiration until he finally retired. I had so hoped in his years with the Patriots that he could finally get that Super Bowl ring he so deserved. However, that was not to be the case. However, what should have been the case was that Junior Seau’s family should have been able to induct him into the NFL Hall of Fame with a speech. Seau was inducted posthumously, not because he was an 85 year old veteran, but because he committed suicide from the effects of brain damage suffered over his 20 year playing career. But the NFL and the NFL Hall of Fame looked to brush that terrible dirty little secret under the Gold colored blazer. Shame on you!!! Rules are made to be broken, especially when they are for ambassadors of the game like Junior Seau, but the NFL does not want the truth behind brain injuries and damage to players to ever come out. Recorded in her hotel room in Canton, Ohio, this is the speech Sydney had hoped to deliver on Saturday at the Pro Football Hall of Fame induction ceremony. What the sad and pathetic NFL suits did not want said live in Canton, Ohio during Hall of Fame induction was the follwoing … Shame on you Roger Goodell and the rest of you low-lifes that would not allow a family to honor one of the NFL’s greatest linebackers because he committed suicide at the hands of the NFL turning a blind eye to concussions and the damage it reeked upon the players. But of course the air in a football is more important. UPDATE I: Daughter Honors Seau Onstage at a Celebration Under a Cloud. Watch the VIDEO here, this is what the NFL was guilted into conceding to do for a man who gave so much to the NFL and the game, including his life. She received a similar reception Saturday as she paid tribute to her father, who was inducted posthumously, in an onstage interview after the showing of a poignant video featuring family photos and clips of his bone-crushing tackles. It was a concession made by the league, which had said it would not allow her to make an introductory speech. After the montage, Sydney and Seau’s three sons uncloaked their father’s bronze bust to claps and cheers. Seau’s mother, who sat in the stands, wept. Make no mistake about it NFL … you knew damn well about the studies of the damages to the brain and what would eventually happen to these players after they retired or even during their playing days. But making money off their bodies and minds was more important to the NFL and those lucrative TV deals. To Roger Goodell and the rest of the NFL suits, do not ever pretend to say you care about the players or the integrity of the game, looking the other way with concussions and the dame it caused to so many players shows exactly what you really think. But the NFL and the commissioners office would rather make a bigger deal over deflated footballs, rather than players committing suicide due to brain damage. BROTHERLY LOVE … FANTASTIC, SIMPLY FANTASTIC!!! Feel good story of the week. On Sunday, 15 year old Hunter Gandee completed a 57 mile walk with his brother Bradenon on his back to raise awareness for Cerebral Palsy. Hunter’s brother suffers from Cerebral Palsy. Hunter said that the long distance walk was not intended to be a fundraiser; however, the walk made national headlines and he rallied support to raise $200,000 toward the construction of a handicap accessible playground at Branden’s school. Reuters : Michigan boy, 15, completes 57-mile walk with brother on his back. A 15-year-old Michigan boy on Sunday completed a three-day, 57-mile walk across the state, carrying his younger brother on his back, as part of a campaign to raise awareness for Cerebral Palsy.